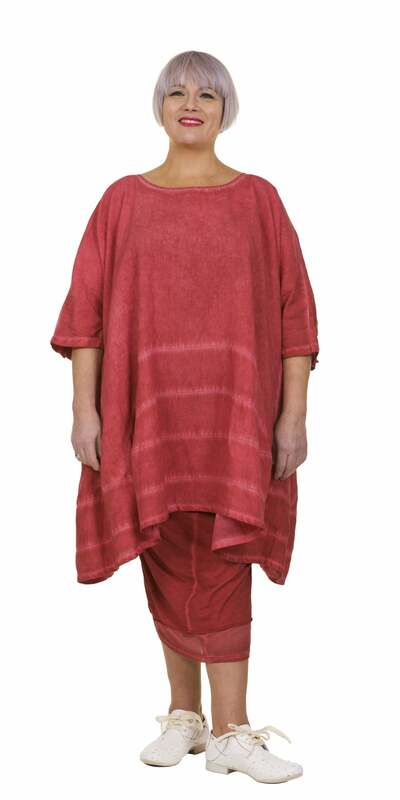 The world of stylish looks for older and/or larger women has included a lot of asymmetry for the last 15 years! I guess this is the Lagenlook influence of designers like Miyaki, Yamamoto, Rundholz, and others, who are making interesting clothes that are not about showcasing slim, young bodies, but more about fantastic textiles and joy in peacocking. I have enjoyed this style, even though It hasn’t always been flattering to me. I think the large amount of ease is great if you have broad shoulders, but not so great, if you have narrow shoulders. The model above, while very beautiful, has relatively narrow shoulders. The silhouette ends up looking very round. It still looks great, but maybe not the most flattering to her shape. What do you think? The Asymmetrical T-shirt is so ubiquitous in pattern catalogues. Many of these are great patterns – I own a number of them. But, I’m beginning to feel a little fatigued by this silhouette. It feels as if it’s short hand for “I’m a funky lady”, without actually saying much else. How to make it look fresh? I think combining a bit of asymmetry in the detailing with a bold, large scale pattern looks contemporary and wearable. This layering dress from Marni has a yoke (so room for some concealed dart shaping) and the pleated frill and front ruffle are interesting, asymmetrical details. I love the colour and bold pattern too. This Marni dress also has an interesting shape. I love that it’s quite a traditional floral, blown-up to a large scale. Where can I get fabric like this? Might have to design and print my own. I like the fabric they are using in this Rachel Comey dress pattern for Vogue. Not sure how I feel about the faux tucked-in top. Wouldn’t work for me, but I’ll be interested to see what others make of it. Another great fabric in this Sandra Betzina pattern. I think this would look great if you have broad shoulders and want to show off your legs. I’m not sure if it would be great on a pear shape. In upmarket RTW, we have some interesting looks. 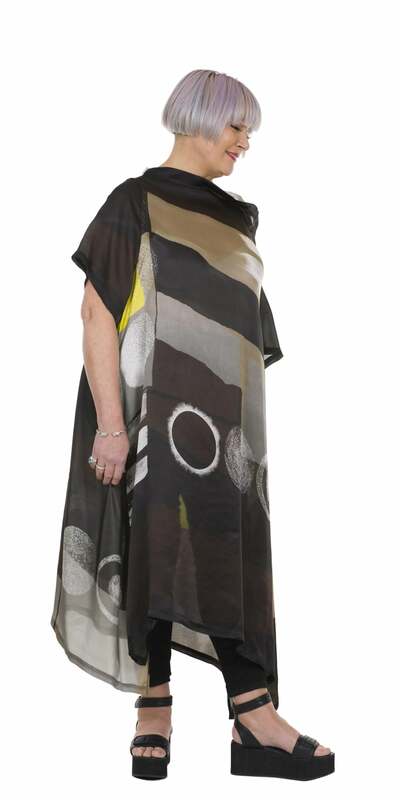 How about this Xenia Silk Dress? Or my favourite label, TM Collection? I love the idea of the dress above. A jersey bodice with a silk skirt for a tunic. What a great way to use a small quantity of a bold but pricey fabric. 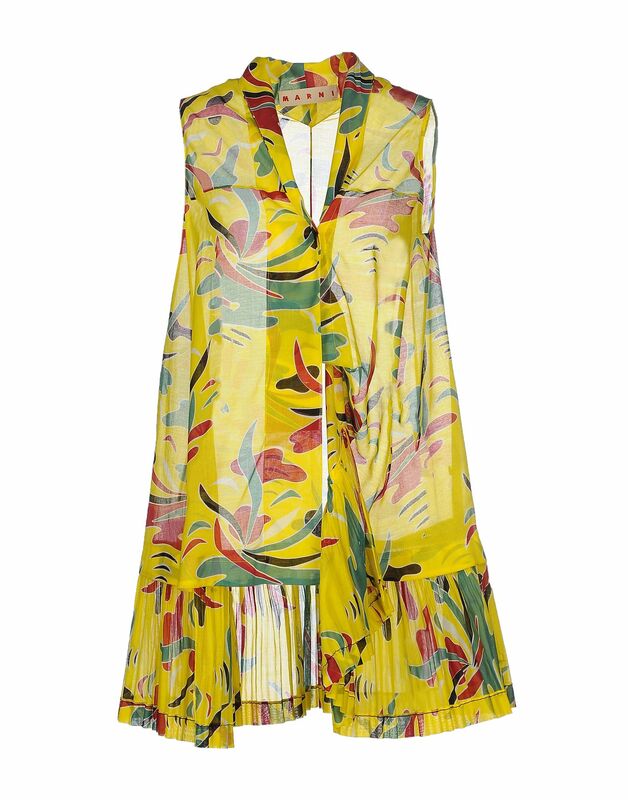 You could even use silk scarves for the skirt or vintage Kimono fabric. Does the pretty model look better here? I love her hair. It makes me wonder whether I should cut mine. I agree about getting fatigued by some of the laganlooks. So I am very interested in your exploration. I love the last look, I am a huge fan of the TM Collection. Lela tunic/shirt by GreenBee sewing patterns is on my radar these days. I love TM Collection too. I want to try some of them on. I can’t get my head around them only making everything in one size. I guess it comes down to finding the one element that updates a sillouette that you know suits you doesn’t it. 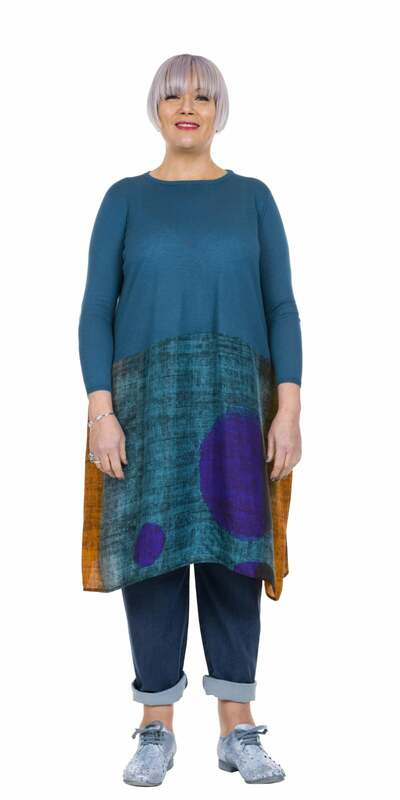 I know that a t-shirt dress(or tunic) that is fitted at the top and A-line works best for me, and I look for variations within patterns that follow that shape. I’m very drawn to large scale prints at the moment too (gorman does them so well), but their shapes are horrible on me. I’m scouring the shops for good fabric and coming up empty handed for the most part. Printing your own is a good option! 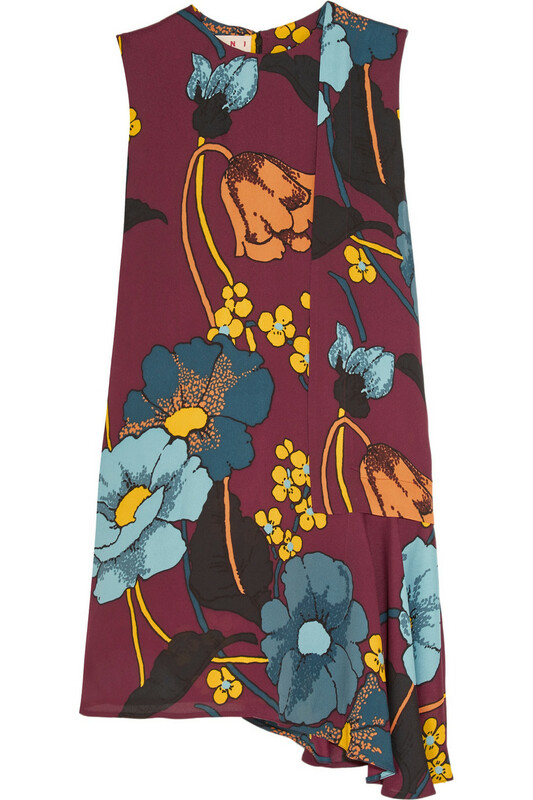 That Marni Dress is heaven – have you seen the Style Arc Agnes dress pattern? It’s a similar shape. I made one last year and loved myself silly in it. I might need to make another. Have you posted a review of your Agnes dress anywhere? Reviews seem to be thin on the ground. It looks really interesting though. I don’t really blog any more but did post it on Instagram (31 weeks ago apparently). It came together very easily. I made it in an embroidered cotton with a bit of structure. It’s fitted but I didn’t bother with a zip or anything – just slipped over my head. As a layering piece I’d maybe size up a bit. Great pattern & didnt use a crazy amount of fabric.